1. Eve : حوا : (noun) (Old Testament) Adam`s wife in Judeo-Christian mythology: the first woman and mother of the human race; God created Eve from Adam`s rib and placed Adam and Eve in the Garden of Eden. Ek Nasha : Adam : street names for methylenedioxymethamphetamine. Bagh, Gulshn : Garden : a plot of ground where plants are cultivated. But Waghera Jis..., Murti : God : a material effigy that is worshipped. "Thou shalt not make unto thee any graven image"
Pasli, Reedh Ki Haddi : Rib : any of the 12 pairs of curved arches of bone extending from the spine to or toward the sternum in humans (and similar bones in most vertebrates). Ehed Naamae : Testament : either of the two main parts of the Christian Bible. How this page explains Hawwa ? We help you understand the word Hawwa in English. 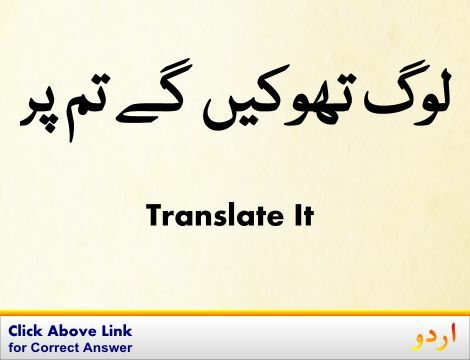 We not only provide English meaning of حوّا but also give extensive definition in English language. You can also find multiple synonyms or similar words along with Hawwa. You may also want to see Android app to get حوّا, please install Wordinn Urdu Android app now.